We may use your IP (internet Protocol) address to help diagnose problems with our server and to administer our web site by identifying (1) which parts of our site are most heavily used and (2) which portion of our audience comes from within the Ashley Hall network. We do not link IP addresses to any individually identifiable information. This means that user sessions may be tracked, but the users will remain anonymous. The School uses the information gathered above to tailor site content to user needs and to generate aggregate statistical reports. At no time do we disclose site usage by individual IP addresses, though our web site is hosted by a third party provider which has access to the web site and the IP addresses of those who use it. This site has security measures in place to protect the loss, misuse and alteration of the information under our control. 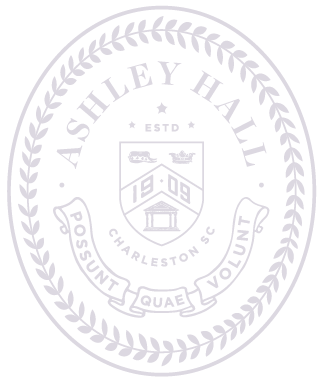 The Ashley Hall website contains links to other web sites not affiliated with the School. Ashley Hall is not responsible for the privacy practices or the content of such web sites, and encourages you to read the privacy statements of those other web sites.